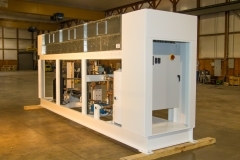 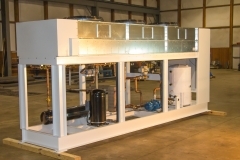 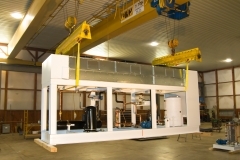 Industrial Process Water Chiller Systems | Robson Industries Inc.
Robson Industries Inc. Industrial Process Water Chiller Systems are designed for rugged applications. 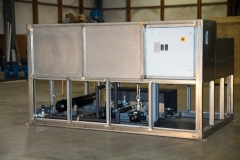 Engineered for industrial applications, our chillers use modern refrigerants like R-407C. 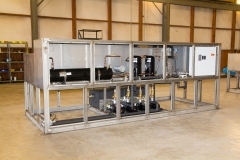 Air-Cooled and Water-Cooled versions are available. 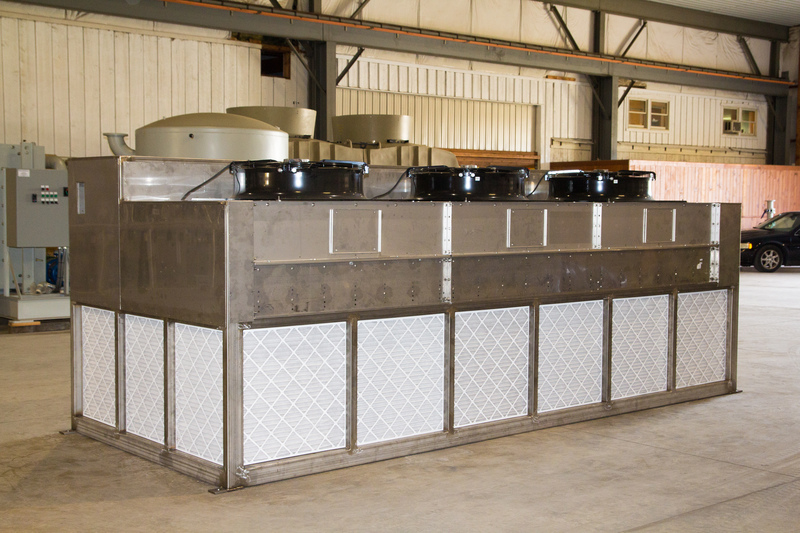 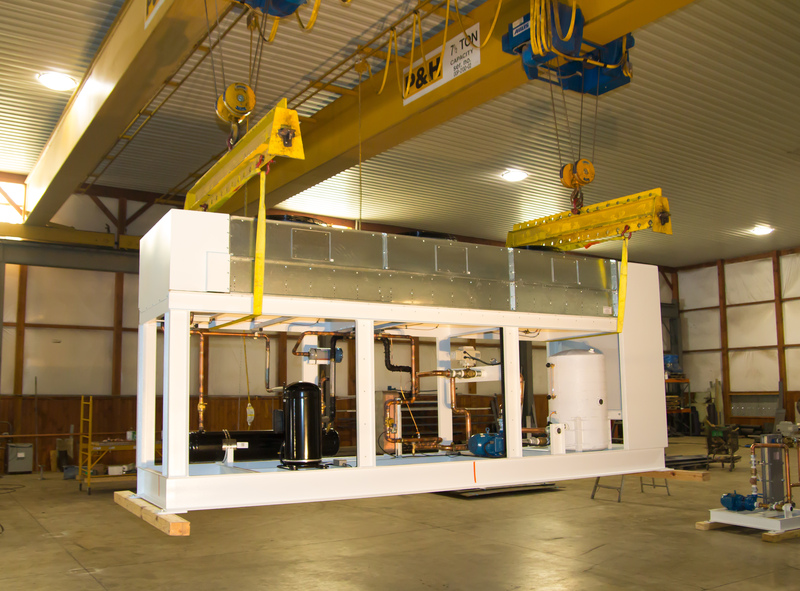 For process water cooling, our line of industrial Air-Cooled Chillers have capacities from 3 tons to 2,000 tons. They are used to achieve process fluid temperatures below ambient, when an evaporative or air-cooled system can’t reliably maintain the temperature required. Our engineers will integrate a chiller into other types of cooling systems, where the chiller is used only during warm times of the year, or just for certain parts of the flow where a lower temperature is desired. 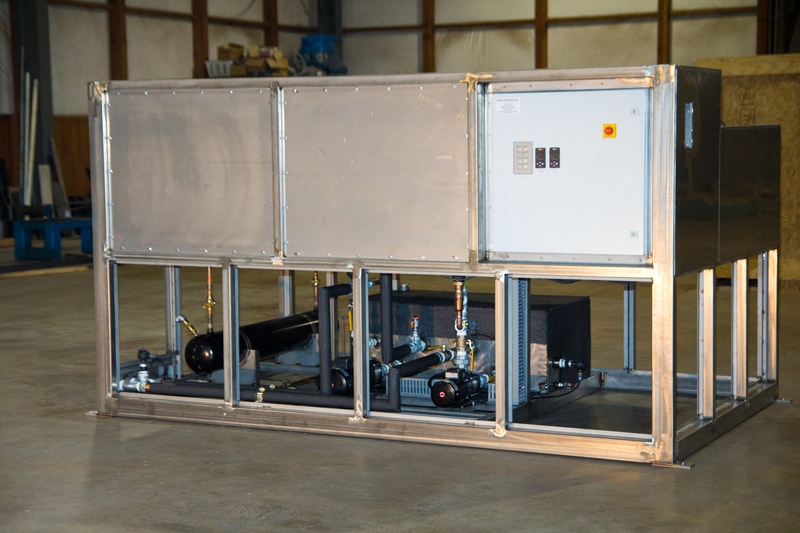 A special line of Glycol chillers is available for brewery operations, designed for 25°F glycol temperatures and 1 – 200 HP capacities. 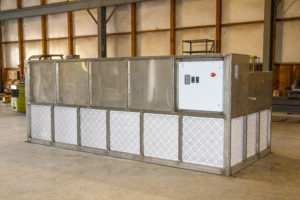 Chillers can be installed indoors or outdoors. 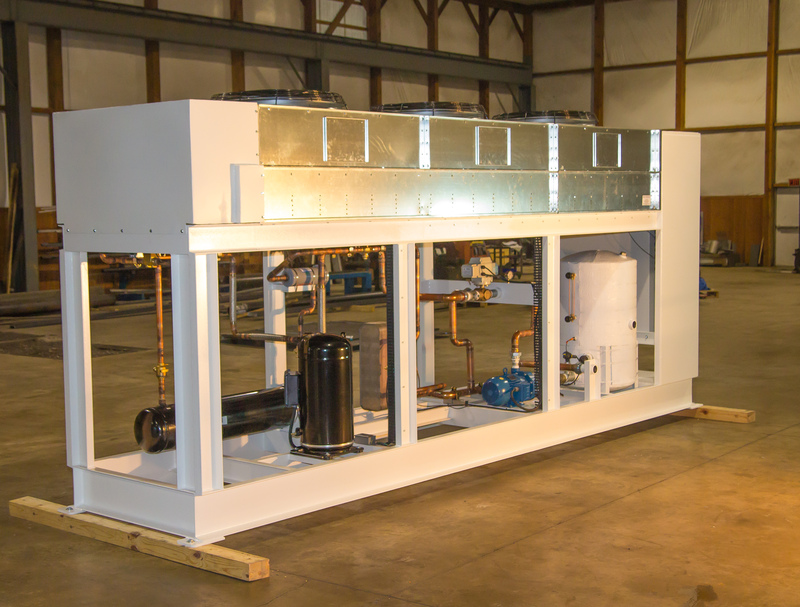 Epoxy Coated Structural Steel frames are standard, and we have a line of chillers with Stainless Steel housings which are ideal for difficult ambient conditions or near coastlines where salt in the air can be an issue. 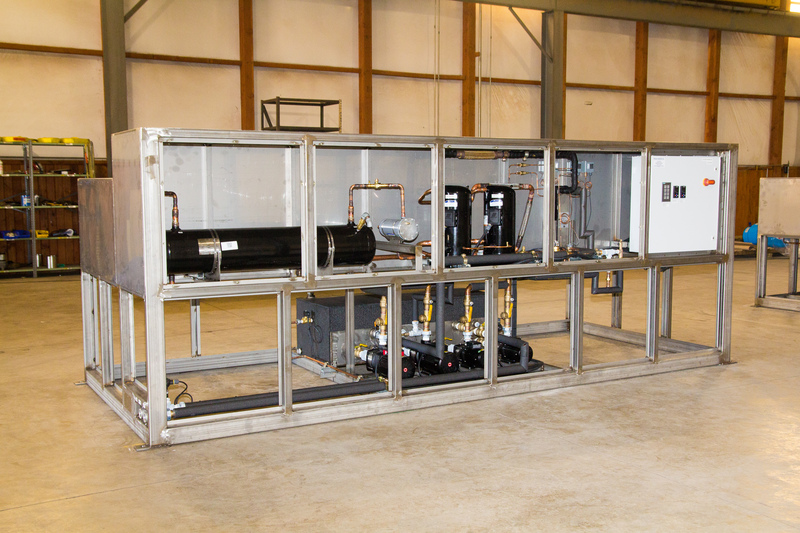 Reliable temperature controls will only cool the process as needed without wasteful or harmful over-cooling.